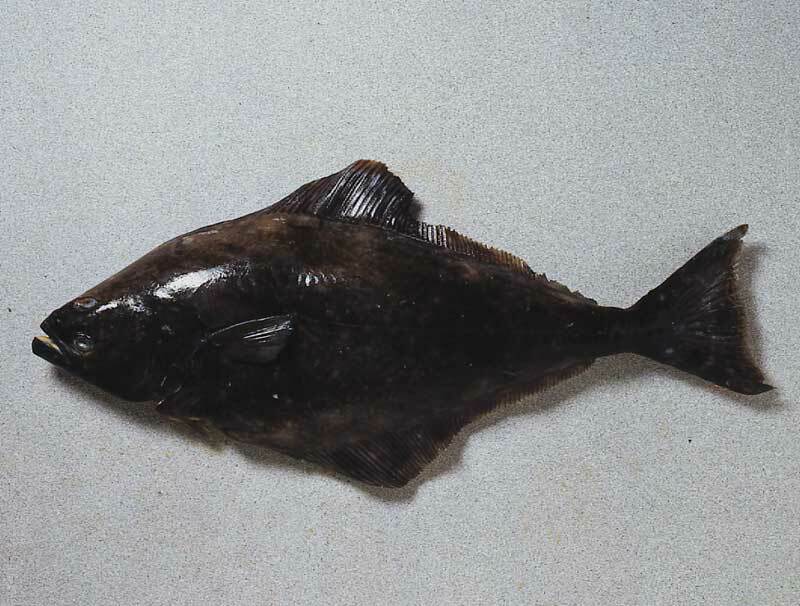 Pacific halibut are the largest bottom-dwelling flatfish in the world, measuring up to eight feet long and four feet across, with weights over 600 lbs. They are found along the pacific coast from northern California to the Bering Sea in depths from 38 to 2,250 meters, although Alaska and British Columbia account for the majority of all landings. Most are caught on long lines. In the mid-1990’s, Canada and Alaska began using an allotment system for halibut that provided individual fishermen with quotas they could catch any time the season was open. Previously, the quota system was one that required the allotted amount of fish be caught within a certain window of time. Because of this change, quality has improved and the market has seen a more steady flow of fresh fish. This has caused an overall reduction in frozen holdings however since all the fish is not hitting the market at one time anymore. Now, nearly 80% of halibut is sold fresh rather than frozen, which is almost exactly the opposite of the situation in the early 1990’s. Prices for fresh halibut tend to rise in November, near the end of the long line season. Whether fresh or frozen, halibut is well suited to applications that bake, broil, poach, or grill. The flesh is white, firm, and mild. It combines well with sauces, or with a simple butter and oil baste. Halibut presents consistent color, thickness and a clean presentation.